Michael Sweigard Band – The Culprit EP | NoCoda. What It Sounds Like: Sweigard’s third EP (though it could be considered his official debut, as its production value dwarfs his previous releases) is a stellar one, showcasing driving pop-rock, experimental genre-mixing, and acoustic anthems. Whenever I find myself at home on a Saturday night, I always tune in to one of my favorite shows: Saturday Night Live. I love variety, and though many may say that Lorne Michaels’ baby has grown into something that scarcely resembles the glory days of its youth, I’ve always been inclined to disagree. Jay Pharoah’s impression of Denzel Washington is one of the best the show has ever seen, and Aidy Bryant’s pathetic but naively sweet Morgan in Girlfriends Talk Show kills me every time. However, if there’s a highlight of the show for me, it’s Cecily Strong. “The Girl You Wish You Hadn’t Started a Conversation with at a Party” is such a relevant and spot-on representation of the doofus know-it-alls that seem to run rampant in today’s society, I’m only shocked that someone on the writing team didn’t come up with the idea of her character earlier! Fact: for every four men, there are two women, and that’s just supposed to be acceptable? NO! We need bipartisan ships. She’ll kill me, and then switch over to anchor Weekend Update with class – a true showing of being able to play both sides of the coin well. 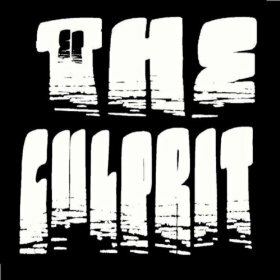 The trio of songs that make up Sweigard’s official debut EP, The Cuplrit, show this type of diversity. Instead of giving us three blazing rockers, or three mellow, contemplative folk ballads, he spreads it out and shows us that he is much more than a flash in the pan; he’s an artist that can truly excel in more than one genre. Granted, all three could fall into the overarching category of pop-rock, but the variations that we find between them are what separates Sweigard from the rest. Opener Life Is… is radio-friendly pop-rock to its core, with an absolutely stick-in-your-head sing along chorus that really could be marketed to just about anybody who has an appreciation for driving songs with melody. It knows its limits and doesn’t bash you over the head with eccentricities, balancing out the small amount of keyboard dub synths in the bridge with the vocal pop staples of oh-o-oh-os that kick off each chorus. Life Is… accomplishes exactly what it sets out to do; kick off an EP with a full-bodied track that you’re never going to want to skip over, while lyrically encouraging the listener to recognize that at the end of the day – the way you live your life, and the choices you make – they’re up to you. No excuses. I won’t dance / To the rhythm or to the circumstance / Let’s not try and fake it / Life is what you make it. The black sheep here is easily the EP’s title track, though I’m beyond thankful that Sweigard recorded it. You won’t be finding this one on the radio, because I don’t think a radio programmer would know what to do with it. I mean, the thing starts off with a simple drum beat and an single, echoing, warbled guitar line that doesn’t really sound like a full band, indie-pop version of Nine Inch Nails, but in the exact same breath – kind of does. Sweigard furthers the drama and drenches his vocals in a deep, hollow effect and delivers a verse that sounds anything but optimistic. But then, as chorus comes in with a shocking one-eighty, he mellows the vibe with a warm guitar tone and simultaneously fills you with hope and redemption. The very first time I heard it, I thought it was way too dynamic of a shift. Now, it seems to flow effortlessly, and is easily my favorite track out of the three. The ending is full of quality riffing and electric guitar squealing, and could easily be transformed into a full-force wall of sound when played live that could serve as the finale of a show. Read the lyrics – they’re certainly worth your while to dissect and take from them what you will. The primarily acoustic Every Moment closes out the EP in a fitting fashion, bringing mellifluous and subdued tones that offer the listener yet another chance to realize the stark reality that, despite what they may think, it never really is too late to change your life around for the better. Its crescendos in its final moment with added orchestration, if only to bring about some emotional feelings in the listener to realize that there really is more to these songs than a time signature change here and a reverb effect there. As long as you’re breathing there is hope / Where you were does not have to be where you’ll go he sings, in a line that if there’s blood running through your veins, you’re sure to struggle with. We’re only human without our Higher Power, and there’s truth here, if only one will choose to be open with it fully, and connect. It’s the consistent, running thread throughout The Culprit EP. It’s the idea of choices, and ultimately, absolution. This EP is only the beginning for Sweigard and his bandmates, which include guitarist Kyle Anspach, bassist Jake Berge, and drummer Jared Dimmick. The Culprit EP is beyond solid, and only shows further growth moving forward from his previous The Loading Dock and Leave This Place EPs. A full-length record is more than anticipated. If you had to listen to two tracks: C’mon reader, there’s only three tracks here! Do yourself a favor and listen to them all.